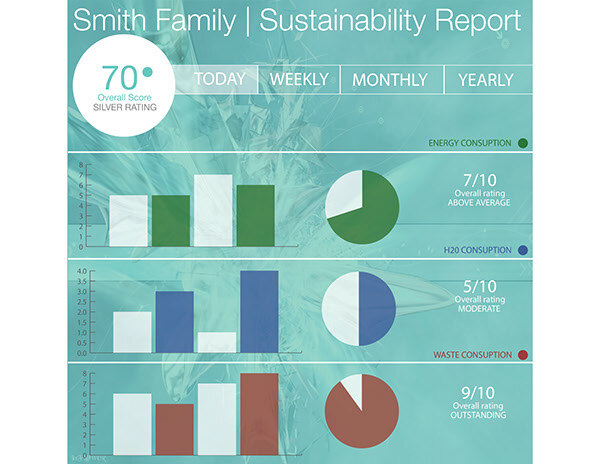 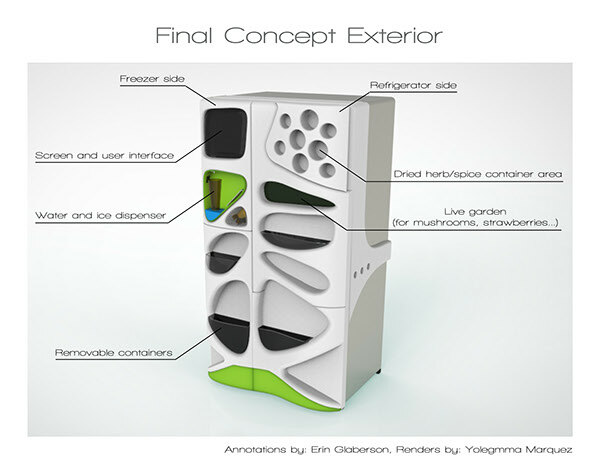 The problem was to develop a refrigerator that integrates sustainability strategies across their lifecycle while enhancing sustainable user behavior and user experience. 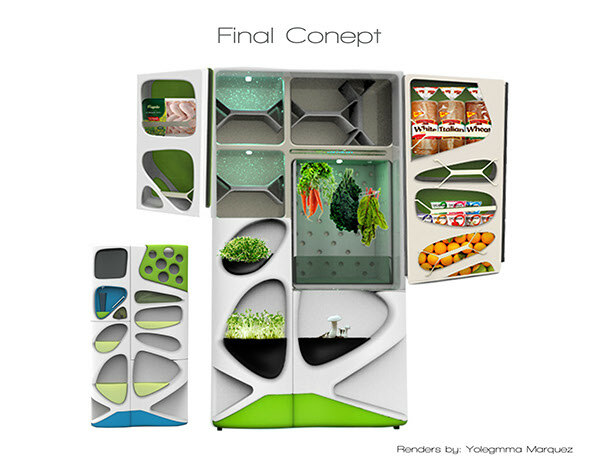 We compartmentalized the refrigerator so the user doesn't waste energy by opening big doors and letting cold air out. 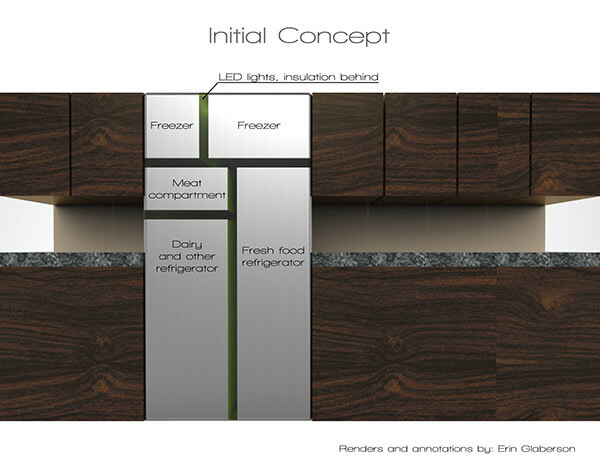 It will also prevent cross-contamination by sectioning off the meat section. 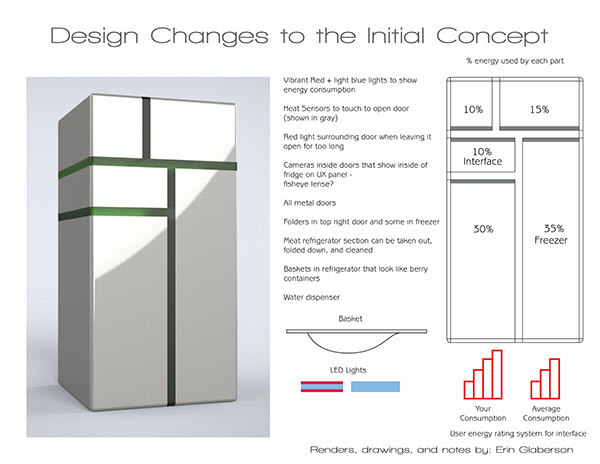 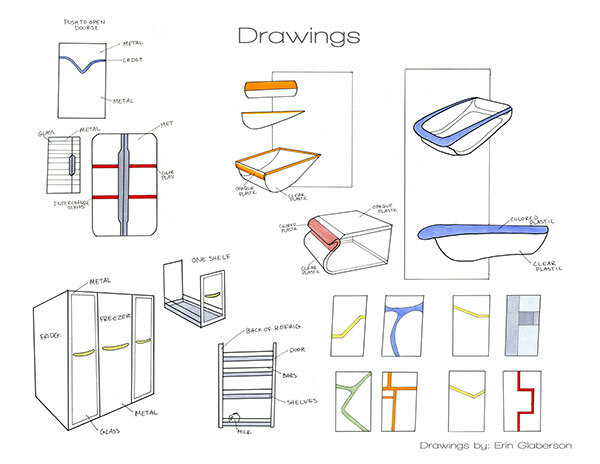 A project by myself, Yolegmma Marquez, and Emily Kvale for Alex Lobos's Senior Studio 1 design class at RIT. 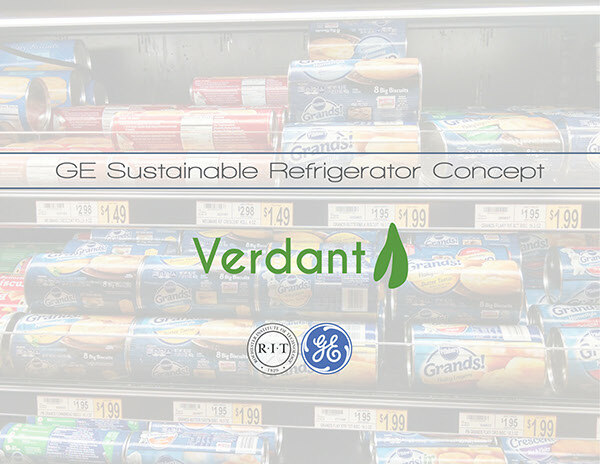 The challenge was to create a refrigerator that promotes sustainable behavior.We all designed a part of the refrigerator, while focusing on different components to the refrigerator. 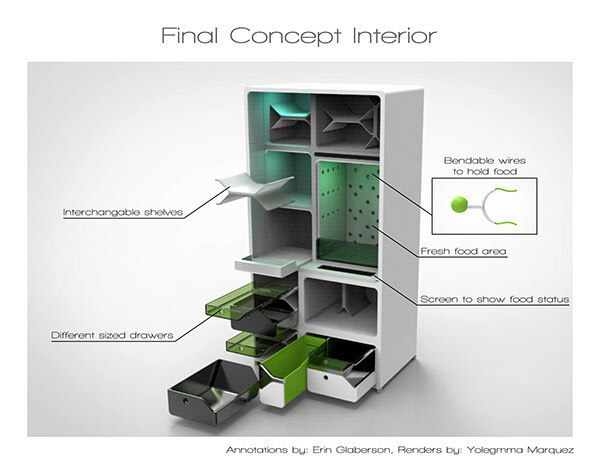 Our design won 1st place in the class for the GE sponsored project.